Leah Feor is the owner of Simply Sustainable, a small business that has evolved from a fair trade mobile shop to a strategic consulting firm serving entrepreneurs with a social or environmental mission. Helping clients balance their Triple Bottom Line – people, planet, profit – is Leah’s utmost goal, and is supported by her undergraduate degree in accounting from the Telfer School of Management at the University of Ottawa and a graduate certificate in Environmental Management and Assessment from Niagara College. Leah was born and raised in Niagara Falls. 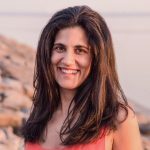 She studied in Ottawa and has traveled extensively throughout Latin America. Now residing in Crystal Beach – close to her family and the natural beauty of Niagara – she teaches at Niagara College in the School of Business and Management. social innovation, contributes as a mentor to aspiring entrepreneurs, and speaks at events and workshops. 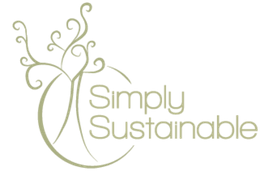 Connect by contact form, email simplysustainableblog(at)gmail(dot)com, or on Twitter! Ready To Take Your Company’s Sustainability Practices to the Next Level?